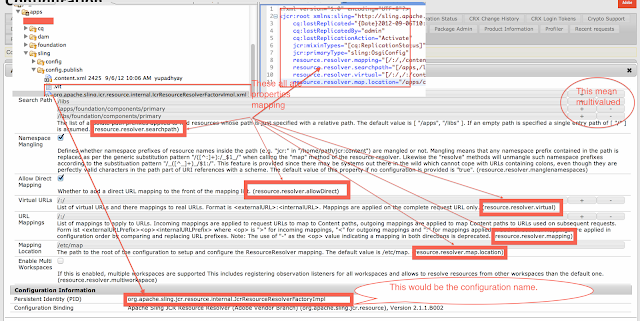 Use Case: You want to create configuration which can be edited at run time using OSGI console. 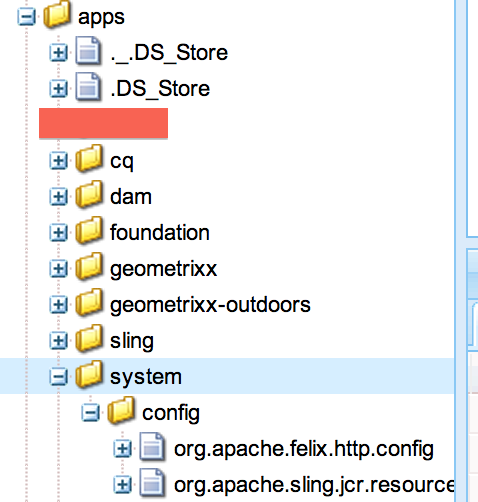 On file systems you can find configuration under /crx-quickstart/launchpad/config folder. 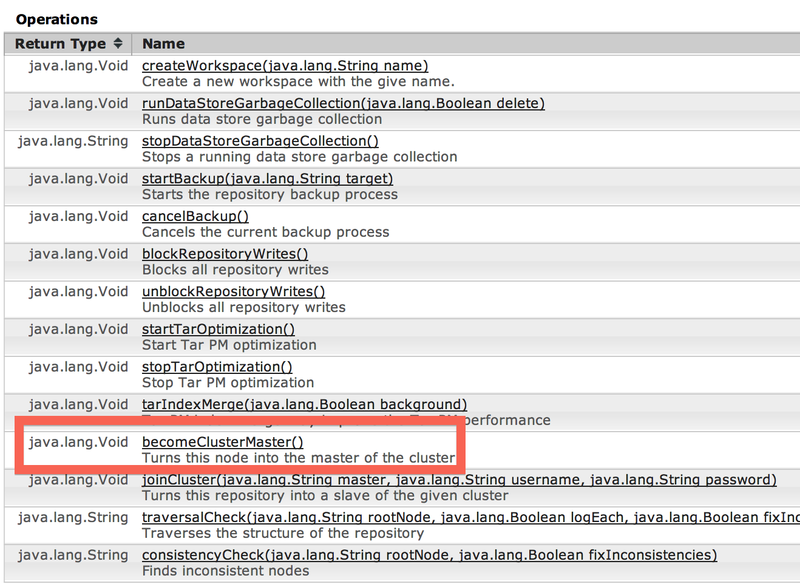 Ans: In CQ5.5 it get stored in repository under /apps/system/config thus get replicated across all cluster. 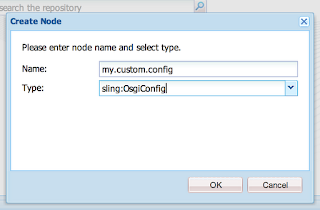 But in CQ5.4 and before it get stored in file system under /crx-quickstart/launchpad/config/<Name of config>.config thus requires changes in all cluster instance. 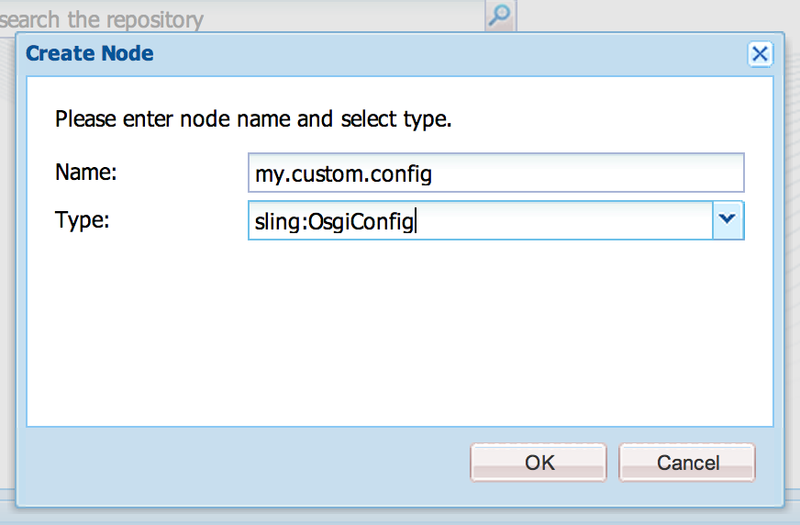 Ans: In that case you have to set up your config for that environment and then create configuration under that node. See example above. 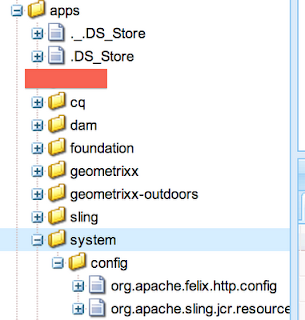 Ans: It is recommended to change configuration through repository and not through felix console if possible. 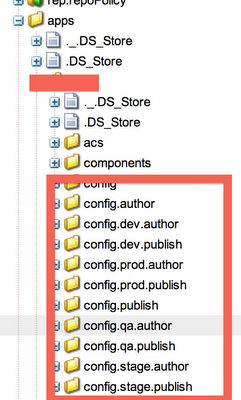 That way you can track configuration in SVN as well. 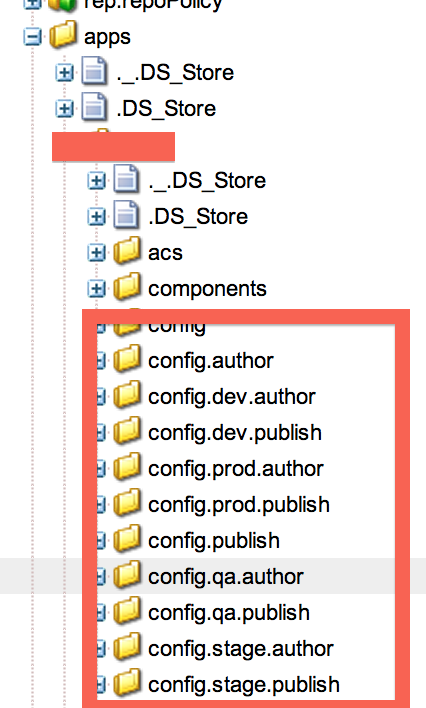 Q: I see that there is already a configuration under felix console, How can I create one under repository to override that. 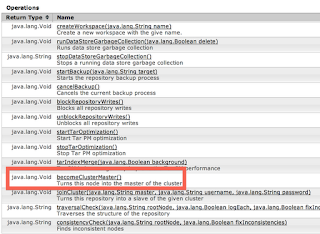 Please ask any other question that you want me to add here.